Valeur Group is an independent group with significant and extensive experience in asset management, investment advisory, trading, research, and real estate services. Valeur’s mission is to provide a safe and solid financial harbour for Clients, and generate returns using the assets we consider essential: excellence, proactivity and efficiency. Our Clients are the heart of our business. We work with our Clients to clearly identify their needs and deliver customized investment strategies and value-added solutions. 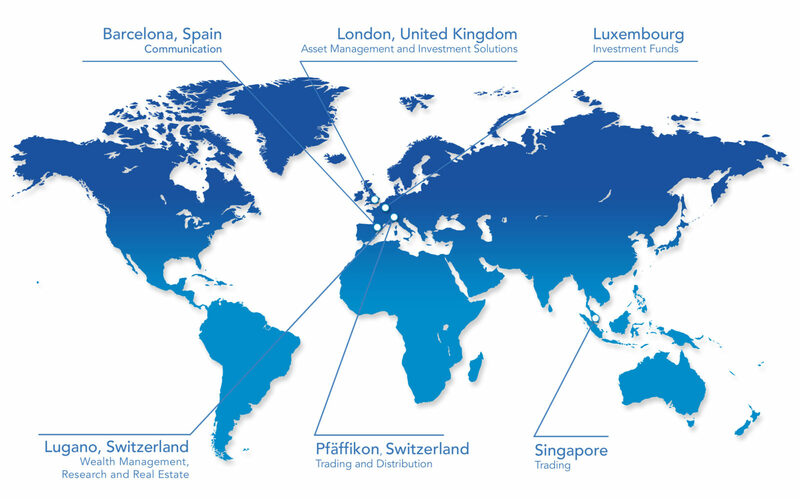 We have developed a broad array of investment services that span geographies, asset classes, styles and objectives. Our teams are involved throughout the entire investment process, from analyzing markets and exploiting the best opportunities, to building the most efficient and balanced portfolios while maintaining a rigorous risk management process. Valeur Capital is the heart of the Group’s Asset Management and structured investment product services. The company manages Luxembourg-based funds (SIF and UCITS) and, along with other entities of the Group, carries out research and market analysis to develop the most appropriate fund strategies. The investment solution division deploys the most advanced financial engineering techniques, in order to build and price customized products. Valeur Capital (UK) Ltd is authorized and regulated by the Financial Conduct Authority. Valeur Lugano, registered with ASG (Associazione Svizzera di Gestori di Patrimoni) offers advisory and discretionary mandate services to institutional and private Clients. With our valuable, long-standing experience in Private Banking, we provide tailored investment solutions to meet Clients’ risk profiles and requirements. Lugano is also the hub of Valeur research: markets and investment strategies are continuously analyzed to offer the best solutions for each Client. The trading desk provides an efficient investment platform with wide access to the market. Our traders have extensive knowledge and experience in dealing with both traditional and alternative asset classes, as well as with order execution. Valeur Securities is also authorized by FINMA for the distribution of the collective investment schemes. The trading desk provides an efficient investment platform with wide access to the market for both traditional and alternative asset classes. Together with the trading desk in Pfaffikon, it allows us to exploit every available opportunity. Valeur Concept is built upon our experience and profound understanding of the Italian and Swiss real estate markets. Our expertise covers the range of real estate investment solutions and architectural services. Valeur Communication is the marketing outpost of the Group which specializes in public relations, brand awareness, and corporate events.